The PC has a bit of an off/on relationship with the Final Fantasy series. 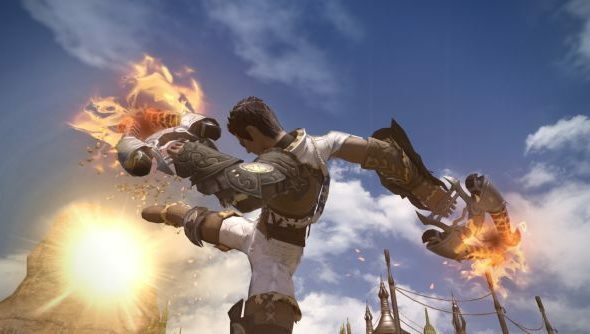 You may fondly remember playing the PC versions of Final Fantasy VII and VIII, but after those releases we were forced to wait for MMO Final Fantasy XI, and then a few years more for Final Fantasy XIV. Consoles, on the other hand, have seen Final Fantasy entries IX, X, X-2, XII, XII, XII-2, and the upcoming XII-3. Some of them are incredible. Some of them.. well they’re pretty damn awful. To prevent another terrible Final Fantasy game, Square Enix have assembled a team that will work together to ensure the quality of future Final Fantasy games is kept high. The team will consist of four people from the top-tier of Final Fantasy development, reports FF-Reunion. Three names assigned to these seats are Naoki Yoshida, the director of Final Fantasy XIV: A Realm Reborn, Hajime Tabata, the co-director of upcoming Final Fantasy XV, and Motomu Toriyama, director of Final Fantasy XIII. For Final Fantasy fans, it probably comes as a relief that no names responsible for Final Fantasy X-2 are present. Having Toriyama onboard is likely to be divisive though, with XII being regarded as a bit of a mess by many. The team may be looking to ensure consistent high quality in future Final Fantasy games, but we’d also like to suggest that the team think about letting PC players get a look in on another single-player Final Fantasy title. Go on, Square, we’ve waited long enough.